The 2006 Rebels Bantam Team will have its third and final tryout on Monday, April 22nd @ 7:55PM. The following players are invited back to this tryout. 2006 Player Invites for third tryout. The Rebels / Hawks Youth Hockey thank all players and families for choosing our organization. The coaches and staff do the best they can to select the best team for the upcoming season. Players not selected on this and the next cuts are strongly encouraged to attend our Hawks team tryouts. We do expect the Hawks team to be very strong and have a great season. 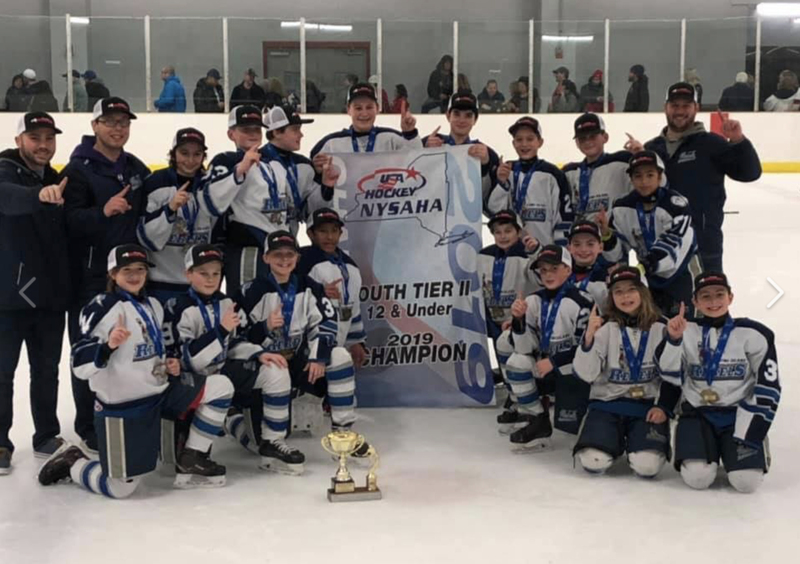 The Rebels Peewee Major team won the NYS Championship in overtime 1-0. 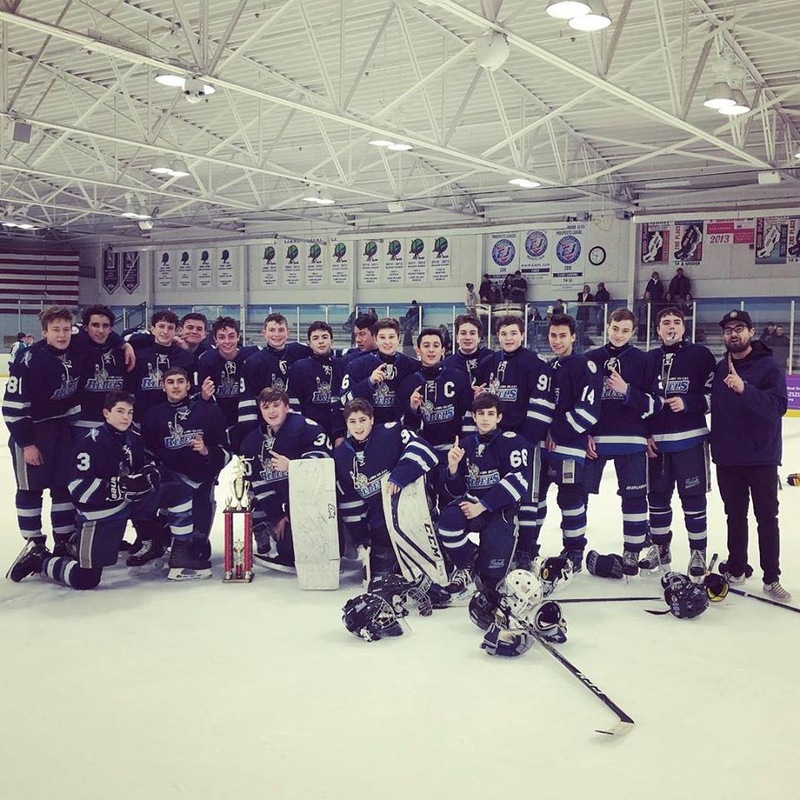 With 40 seconds left in the 15 minute overtime period the Rebels clinched the championship. Congratulations to the players and Coach Greg Cartwright and staff for a great end to a great season. 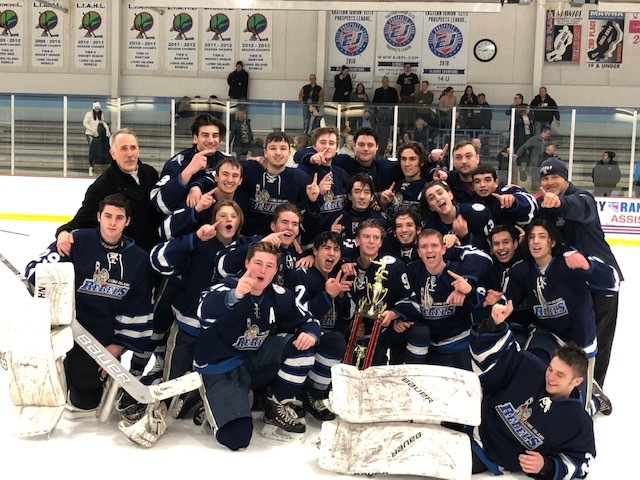 The Long Island Rebels 18u team won the LIAHL championships in the fifth overtime!! Richie McGuigan scored in the third period to tie the game 1-1. The score remained the same for 5 more periods when Collin McHale scored with 3:25 left in the 8th period of play. Congratulations to the players and coaches, who are looking forward to states next weekend! The 2019-2020 tryout schedule and application are now available on the "Tryout Info" page of our website.